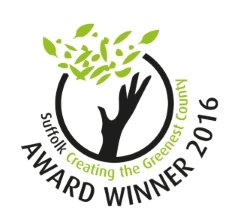 ← The Oak Tree on Ipswich TV! though it can’t be said that either chicken nor chicken catcher seem totally at one with the current state of the world. 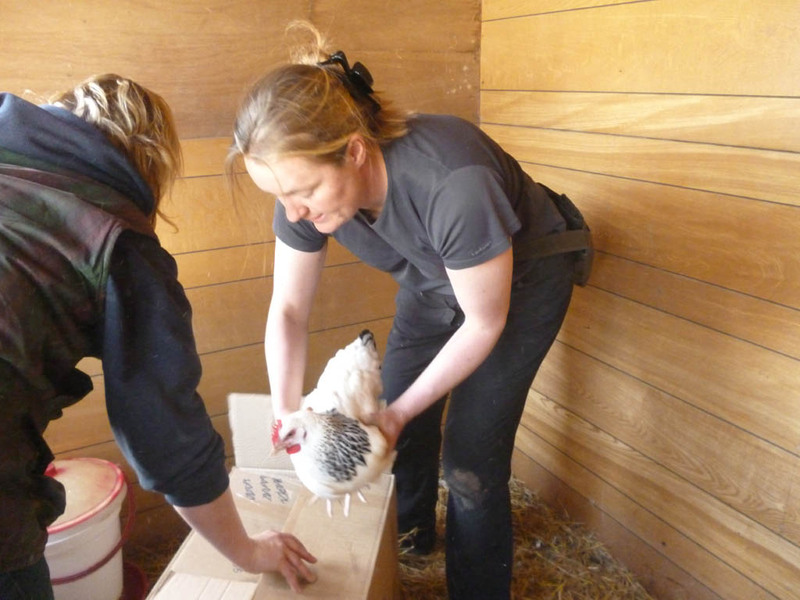 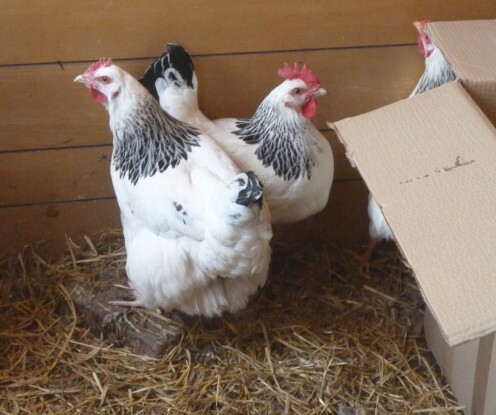 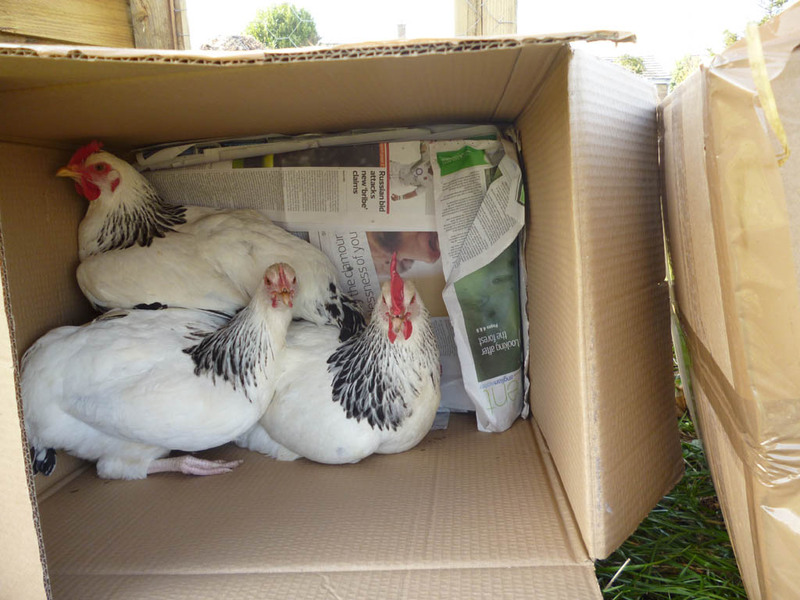 Then there is the conundrum of how to box the hens. 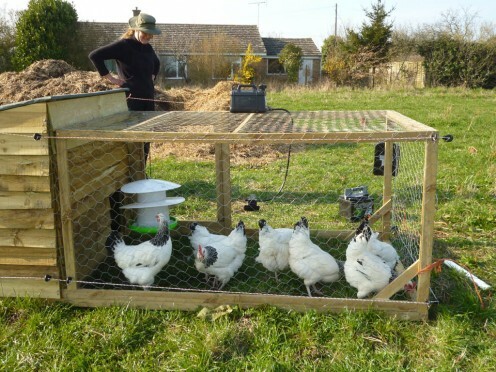 which are ready to be driven up the A14 back to the Oak Tree, where we have hauled the chicken house up to be ready to welcome them. Hence the happy picture of our proud owner with her hens! 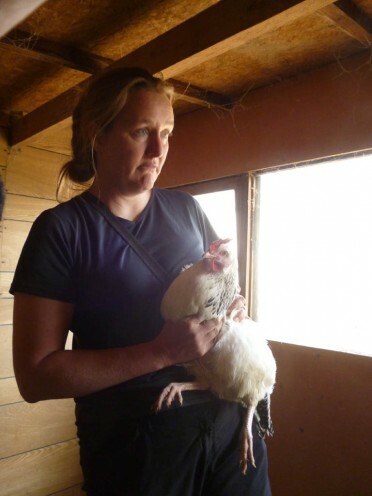 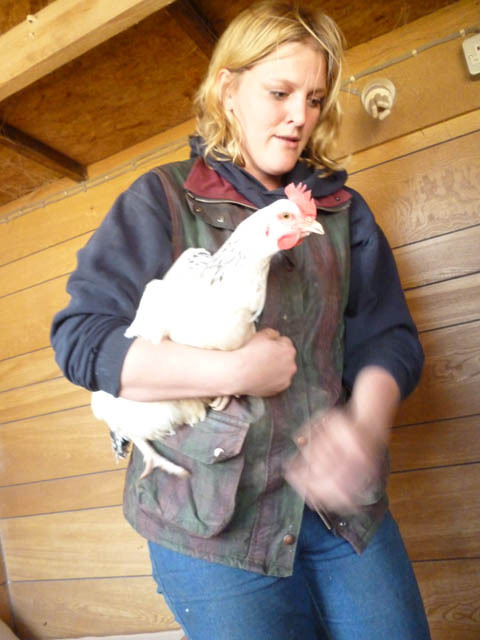 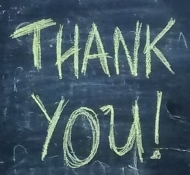 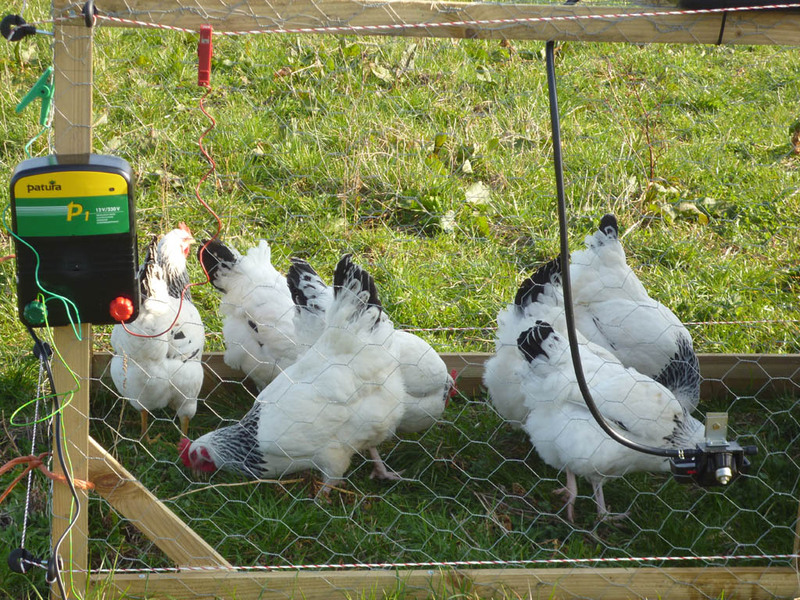 This entry was posted in community supported agriculture, general news and tagged chickens, eggs, hens. Bookmark the permalink.